Maria and Lorraine had that familiar look of the day after a long night of indulging in duty-free goodies. 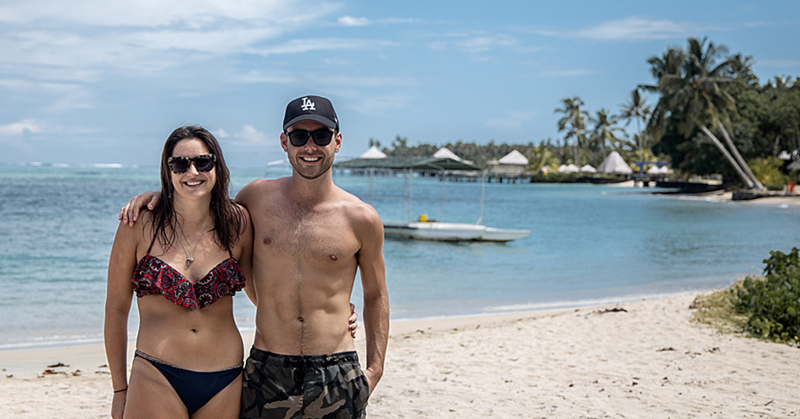 With both girls clad in dark sunglasses and digging in to their big breakfasts when Dear Tourist met them, we sat down with the duo for a chat. Dear Tourist decided to go easy on the ladies with the simple questions, asking them first, what day they arrived. Maria and Lorraine took a couple of minutes to consult with each other, first trying to remember what day it was before counting back and then coming to the conclusion that they had arrived two days earlier. The pair have been friends for 20 years and they were on a girls only trip, leaving their families behind to get some sun and relaxation. 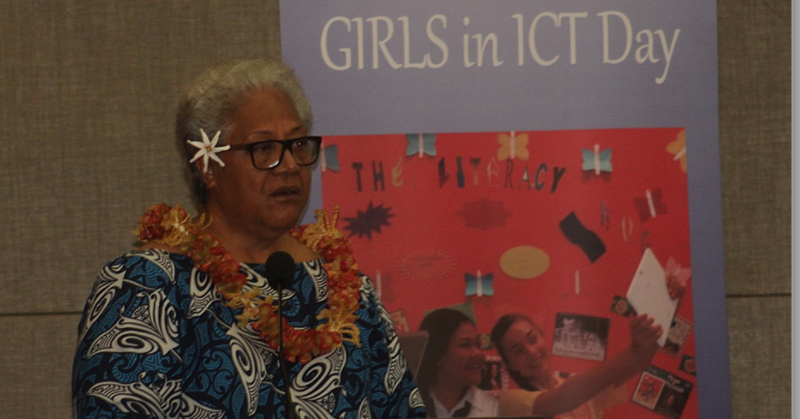 Maria told us that they didn’t need a special event to come to Samoa. 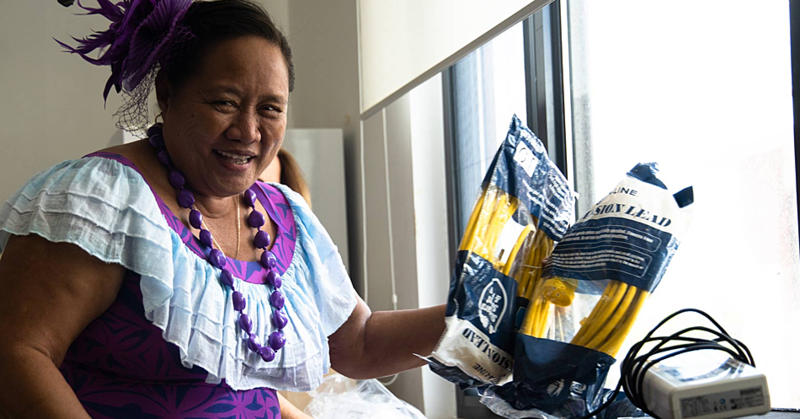 “No special occasion, we just needed a break and to get away for a holiday, and Samoa is a beautiful country,” she said. 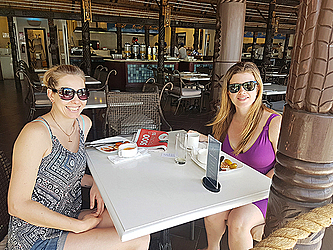 Lorraine and Maria both agreed that it was highly unlikely that they would venture outside the walls of the Sheraton Samoa Aggie Grey’s Hotel because they planned to do nothing but lounge and take full advantage of being kid-free. “As soon as we got here, we went for a walk downtown and then we just lay by the pool all day, just soaking up the sun and relaxing,” said Maria. Lorraine added that it has been beautiful at the Sheraton. “I love it -- I don’t want to go home,” she laughs. “Samoa has definitely met my expectations. The staff are so friendly over here, being so accommodating and they go out of their way to help you. Maria said that it was a shame that they arrived in Samoa late in the evening and so they did not get to see the landscape on the ride in, but that the scene that greeted them in the morning was enough to lift her spirits. The duo were very thankful to be out of the New Zealand winter, even if it was just briefly. “Back in New Zealand it was freezing and it was snowing,” said Lorraine. Lastly, we asked the ladies about the rest of their travel plans and if they would return to Samoa. “We are literally just going to hang out,” says Lorraine. “Maybe we will go out for a wander tonight but we don’t have any activities planned because this all about relaxing and doing nothing. “The hardest thing we’ve had to do was get up for breakfast and that’s the only thing we have to do today. We’re just going to relax and swim -- basically regenerate and of course we need tans.